Easy Guacamole Recipe - Best Ever Authentic Mexican Restaurant-Style! 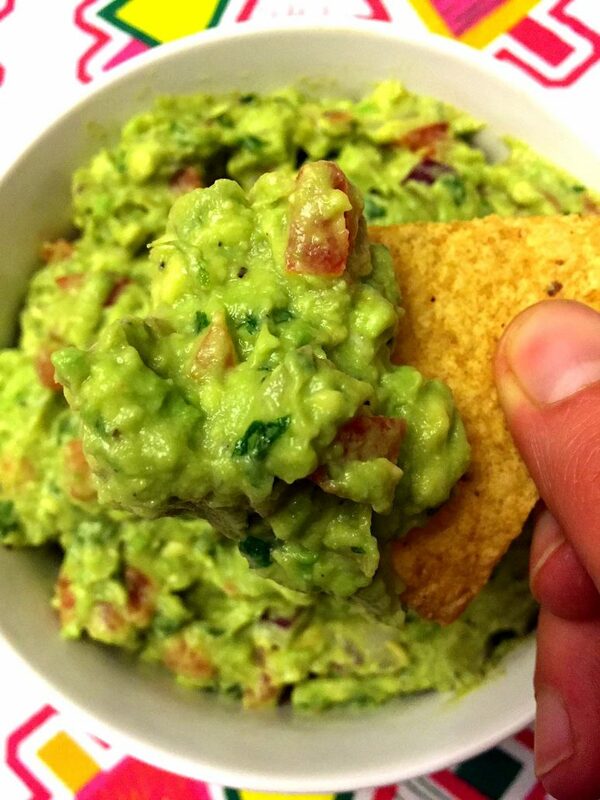 This easy guacamole recipe makes authentic Mexican guacamole that's the best ever! I'll never make guacamole any other way! Cut the avocados in half, scoop them out of their shell and remove and discard the pits. Put the avocado flesh in a bowl and mash with a fork or potato masher. Mash it so some small chunks still remain. Add all other ingredients to the avocado and mix. Add salt and pepper to taste.